Blog Homepage \ #dacwpulls \ #DACWPulls – 2014/15 Upper Deck Exquisite Collection Michael Jordan Autograph! 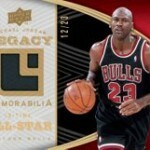 Last week I bought a box of 14/15 Upper Deck SP authentic from your eBay store. 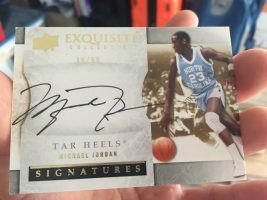 I’ve been out of the hobby for about 10 years but I just started searching for good deal boxes that I might pull the grail: MJ auto. And I F*****G did it with this box. On card, 39/99! I cannot believe it. 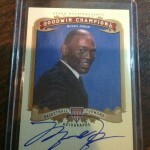 Really I thought this would never happen because of box searching or dishonest sellers. If I could write a review for you I would in a heart beat. Lynn…you just did! Welcome back to the hobby! If you want to be featured in our next #DACWPulls post just send your hits to collecting@dacardworld.com or use the hashtag #DACWPulls on Facebook, Twitter or Instagram! And if you are ever looking to sell your unopened boxes or cases, get in touch with our Buying Team by emailing buying@dacardworld.com! 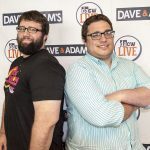 #DACWPulls: Big Hits from the Past Week! 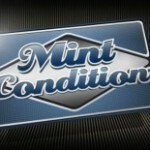 ESPN Mint Condition: Dave and Adam’s “Products of the Year” Award Winners!